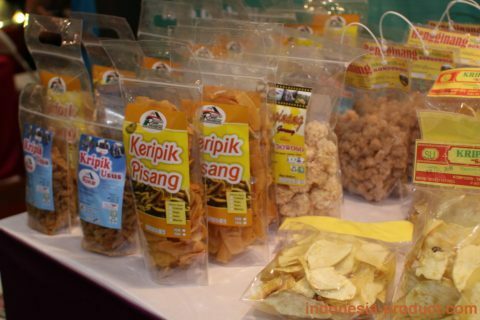 This is the manufacturer and supplier of snacks products from Bondowoso, East Java. There are many kinds of healthy snacks in Bondowoso Creative Home Industry. You will find the banana chips, potato chips, yam chips, intestine chips, tempe chips, cassava chips, and many more chips and crackers that made by craftsmen of Bondowoso Creative Home Industry. Savory flavor of chips and snacks in Bondowoso Creative Home Industry comes from a very simple seasonings and material, such as garlic, coriander, salt, and usually plus slices of orange leaves. Not to forget the additional flour bind together to make chips more taste crispy. Bondowoso Creative Home Industry has operated since years ago and has trusted by many buyers, both local and international. It because all snacks that produced by Bondowoso Creative Home Industry are from fresh and healthy ingredients. To maintain the quality of snack and chips, some craft makers in this home industry avoid using bulk oil when frying product. 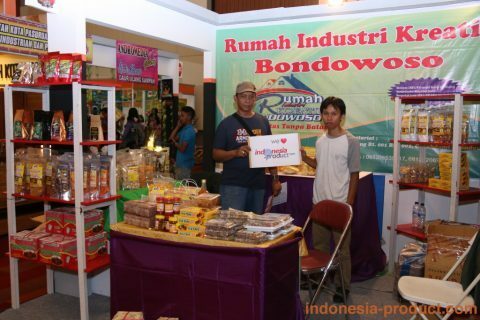 So, let’s buy and taste the delicious all snacks in Bondowoso Creative Home Industry. Well, for those of you who visit and travel to Bondowoso, certainly feels complete if you enjoy and take home all snack and chips products from Bondowoso Creative Home Industry. Chips product in this home industry is very recommended for your souvenir.